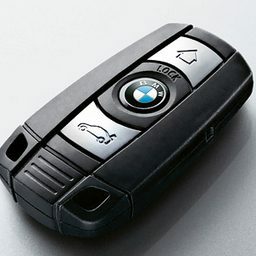 Welcome to Pick Me Car Keys Adelaide help page for BMW Car Key Replacement. We have put together some information to try and help you if you have lost your BMW keys or if you require a spare key cut for your BMW. We can provide replacement keys for BMW 3 series, BMW 5 series, BMW X series and most BMW models. Pick Me Car Locksmith Adelaide are fully mobile and equipped to cut and program car keys and remotes on site saving you time and money. BMW were among the first vehicle manufacturers to build their cars with a factory immobiliser system using a “transponder” chip inside the head of the key itself. They designed a “rolling code” system which means that the security data is constantly changing. This system is extremely secure and as a result it is very difficult to copy keys or make keys once all have been lost. Before 2004 most BMW’s that have lost keys require the ECU or immobiliser box to be removed and reprogrammed. After 2004 certain models can be programmed from the OBD 2 port inside the vehicle. CLICK HERE TO GET A BMW CAR KEY REPLACEMENT QUOTE NOW !